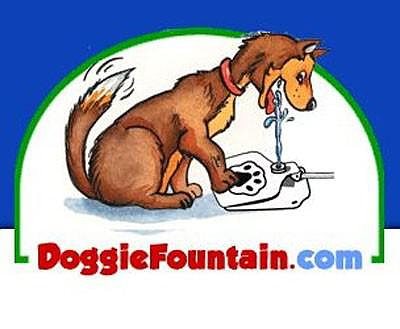 HomeBlogVariousDoggy Water Fountain, Water Dispenser for Dogs. The Doggy Water Fountain is a clever water dispenser, which ensures that your dog will always have access to fresh water on a self-serve basis. The summer heat and lack of fresh water could take a tool on your beloved pet. I am certain that all loving pet owners make sure that their pet has always access to a bowl of fresh water, but wouldn’t it be better if the dog could serve itself on demand without you having to worry about filling its water bowl? 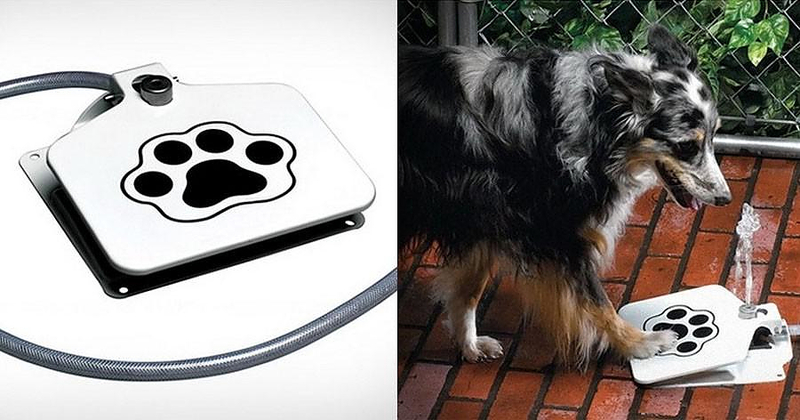 The Doggy water Fountain is an innovative pet gadget will help a bit. 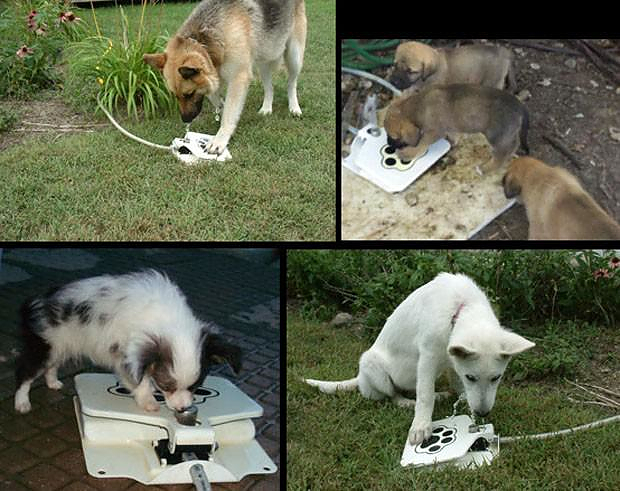 Simply attach this innovative dog water dispenser to the end of your garden hose and when your dog steps on the paw switch, a stream of fresh drinking water is released. As a bonus you get to teach your pet a new trick and once it gets a hang of it you will be free of the task of filling its water bowl. 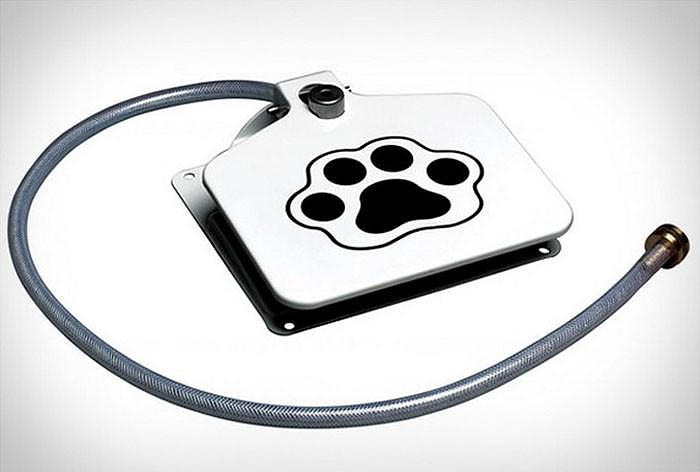 The dog will finally able to enjoy a cool, refreshing drink of water whenever it feels like it. 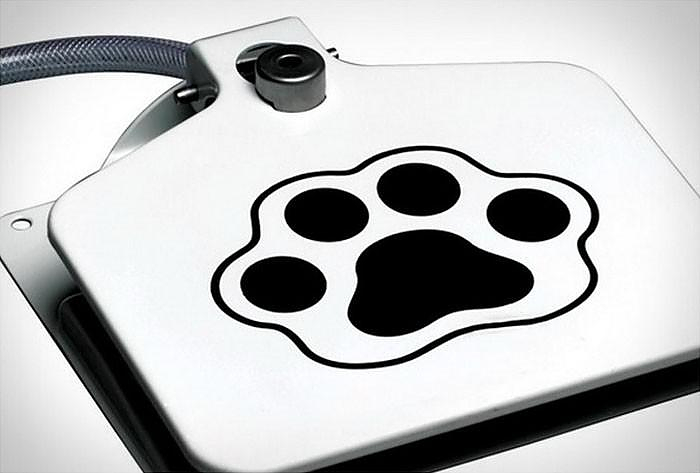 The Doggy Water Fountain is neatly designed and made of quality metal parts result in a stable, five-pound watering appliance that is prepared to withstand use by the largest of hounds. There are holes at the top corners that can be used to stake the Doggie Fountain in place, if you like. 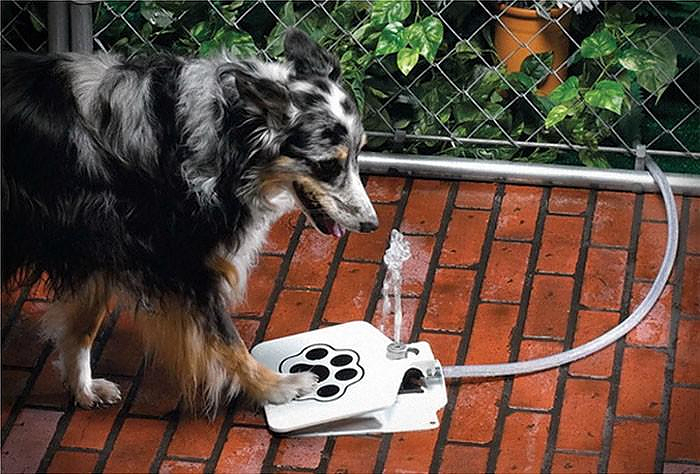 Moreover you don’t have to worry about your pup getting drenched in water, the Doggy Water Fountain is equipped with an adjustable valve, so you can control the height of the water stream and set it to a convenient level for your pet. Finally we particularly like the fact that this clever water dispenser is flexible and highly portable, this portability means that one area of the garden doesn’t need to be perpetually muddy.